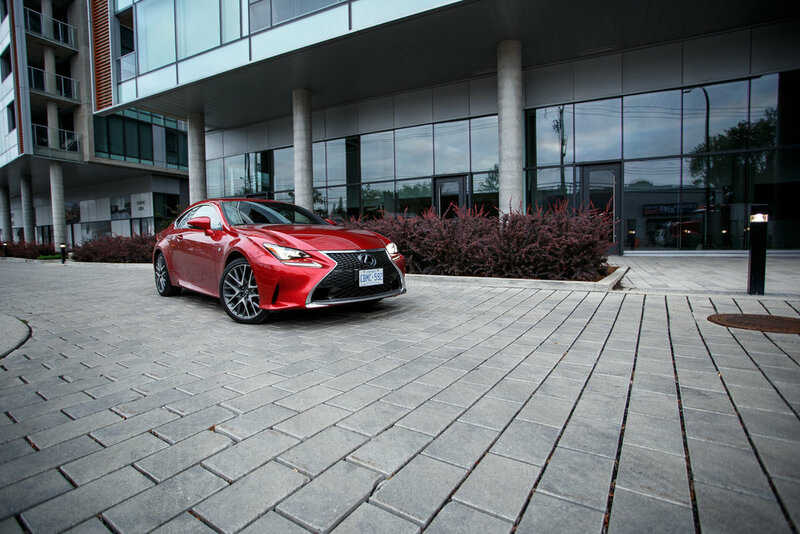 Placed between its brothers, the RC 300 and RC 350 of the Lexus RC family, lies the RC 300 AWD F-Sport, a car who’s boastful design and upgraded performance makes it a coupe to consider. The F-Sport upgrade adds a sportier look to the RC’s original design, while the giving the car’s suspension and braking system a meaningful step up. This, along with its all-wheel-drive system and traction controls make it an excellent choice in any season. From the very moment I came face to face with the Lexus RC 300 F-Sport, I was stricken (almost intimidated) by how good the menacing Lexus spindle grill looks from the front. The F-Sport edition adds a nice effect to the grill by having the upper section mesh pattern turn into an “F” shape. Giving the car more character are ultra-bright LED headlights that sit right beneath the L-themed daytime headlights. From afar the RC F-Sport’s silhouette is sharp and sleek, giving off the true sporty look sure to appeal to coupe enthusiasts. After having the privilege of driving the car for a week, I can guarantee that the RC 300 F-sport does, in fact, turn heads. The 19-inch allow wheels are equally striking and add a great deal to the car’s edgy look. 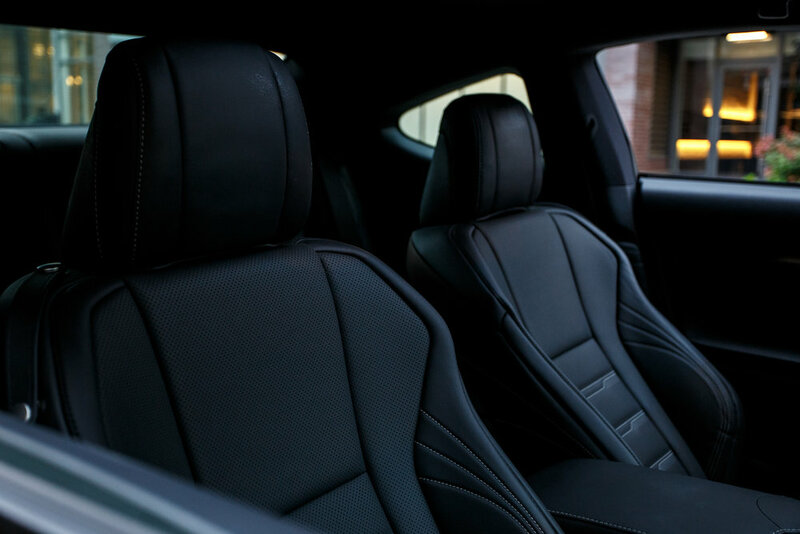 The car’s interior matches the bar set on the outside by having several nice touches that bring luxury to the coupe. Both steering wheel and shift knob are both trimmed in perforated leather, while the F-sport emblem can be found on the steering wheel. The 2018 model features a 10.3-inch screen on the dashboard. Although it would have been nice for the screen to be touch sensitive, there is a remote touchpad in the centre console that controls much like a laptop trackpad. 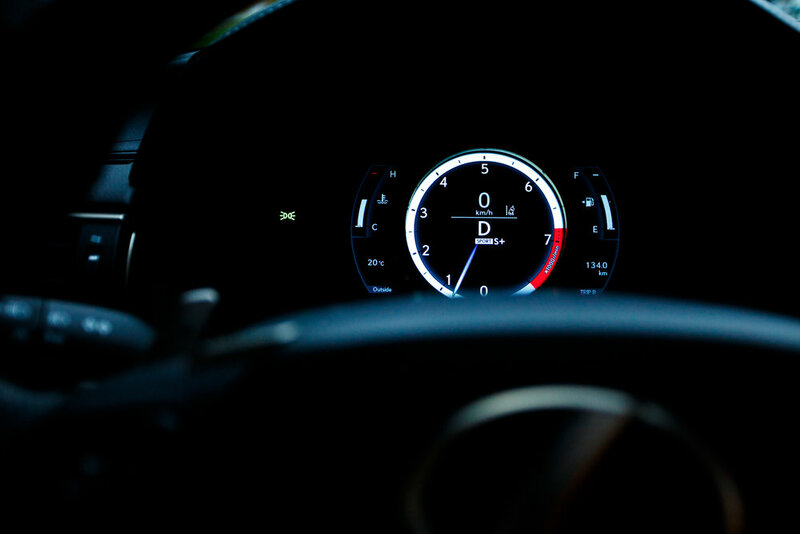 The digital gauge is fully customizable, giving the driver all the information needed while driving, this includes everything from tire pressure to the remaining gas mileage. Another great detail lies within the gauge which lights up with a bright circle when in Sport mode. On top of this, the gauge’s position can shift at the touch of a button. Where the Lexus RC falls short is the available headroom for both the front and backseat passengers. Being a tall driver (6 feet and 2 inches), I found myself wanting to drop the front seat lower than the maximum available setting. As for the back seat, your best bet would be to reserve the space for a briefcase rather than passengers. Regardless, the front sports seats are both heated and cooled, making the drive very comfortable. Performance wise, the RC 300 F-sport has an available 260 horsepower and goes from 0 to 60 mph in 6.3 seconds. It has several driving modes, each mode providing a different experience than the last. Even with the car’s somewhat high curb weight, I still found it exhilarating to shift the car into Sport + mode and zoom between lanes. Only in Sport mode can the engine’s power be heard. The paddle shifters are responsive and complete the sportscar drivability. The electronically adjustable, gas-pressurized shock absorbers provide a smooth ride. I sometimes lost sight of how fast I was actually going. 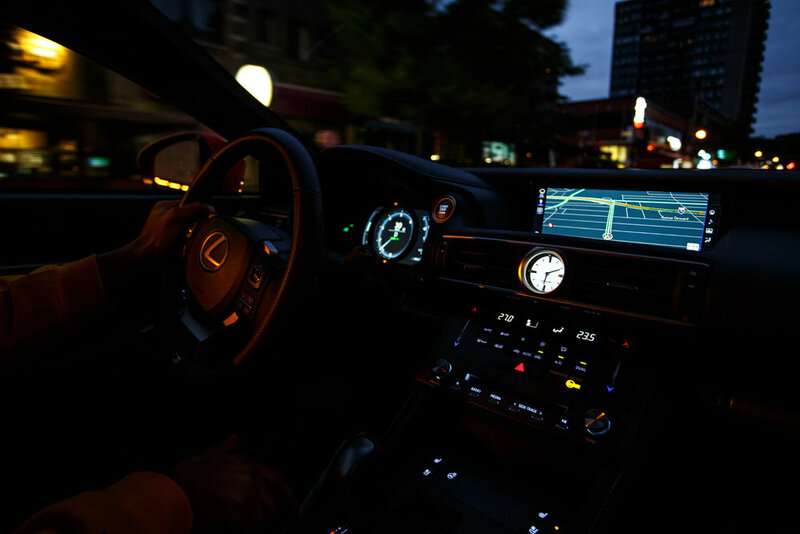 When it comes to cabin insolation, the Lexus RC is one of the quietest rides available. This means that the 10 speaker sound system which includes a 10-inch subwoofer, does not have to be turned up to the max to fully appreciate crisp highs and booming low ends. A 17-speaker Mark Levinson premium sound system is also available as an option. The Lexus 300 RC F sport is a sports car for those who want their car to perform as good as it looks. As a driver in his late-20’s, never did I not feel empowered and thrilled to be behind the wheel. I never felt as though the car was seeking attention. Its sleek look is perfect for those wanting an elegant coupe that stands out without being ostentatious.